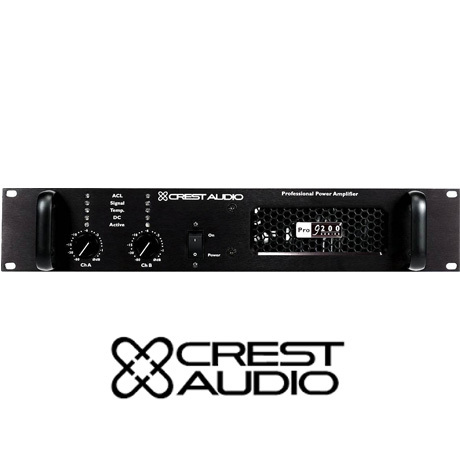 Designed with touring sound professionals in mind, the Crest Pro 9200 power amplifier faithfully produces high power with low distortion in an extremely lightweight economical package. Rock stable in stereo or bridged mode operation the rackmountable PRO 9200 is engineered to exceed expectations, when powering multiple or single loudspeaker enclosures down to a 2 Ohms load. The Pro 9200 offers the protection that ensures safe and trouble-free shows night after night. The Pro 200 Series professional power amplifiers offer Crest Audio’s renowned sonic integrity while providing exceptionally high power ratings in a compact, lightweight 2 rackspace package. 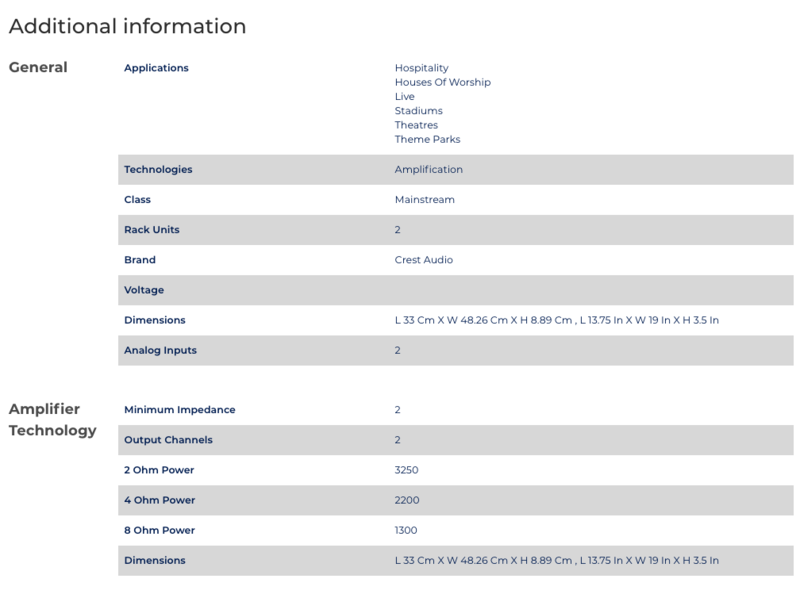 Pro 200 Series amps feature Automatic Clip Limiting (ACL) to protect connected drivers; IGM (Instantaneous Gain Modulation) Impedance Sensing to accommodate varying impedance outputs; tunnel-cooled, high efficiency heat sinks and variable-speed DC fans to limit the operating temperature and extend amplifier life.